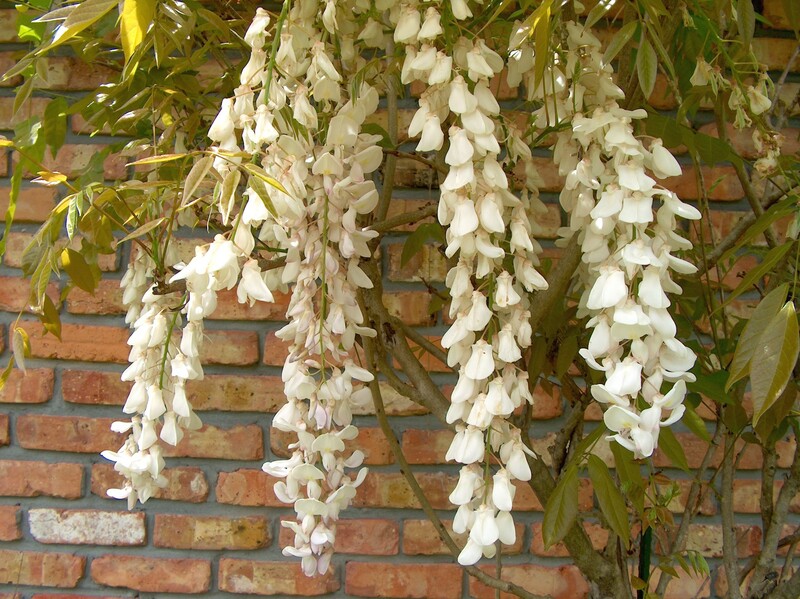 Comments: This is the white flowering cultivar of wisteria. It makes an excellent vine for providing quick shade on garden arbors and pergolas but frequent pruning is necessary to keep the aggressive growth in check. Plants growing with a slight moisture and nutrition stress seem to bloom more freely.